Imagination Theater is back! Mystery, drama, and laughter abound in America’s leading radio drama series regularly featuring Private Detective Harry Nile and tales of Sherlock Holmes by Sir Arthur Conan Doyle. Recorded live at KPC, America’s leading radio drama series is heard from coast to coast on over 50 radio stations in North America, including KIXI in Seattle. On the the night of April 9th the cast will be celebrating the 20th anniversary of the debut of “The Further Adventures of Sherlock Holmes”. 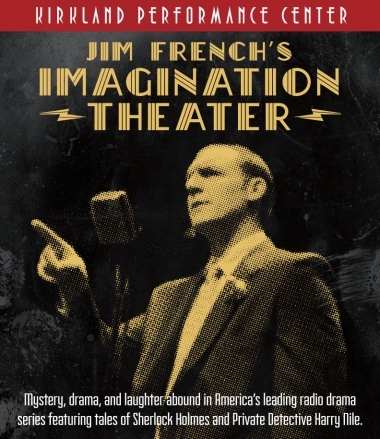 Jim French Productions produces Imagination Theatre–American radio’s premiere drama series, now heard coast to coast on well over a hundred radio stations in North America and by satellite on XM Radio. These hour-long weekly broadcasts feature mystery, suspense, fantasy and adventure, produced before live audiences on a state-of-the-art recording stage. Check this link for stations and broadcast times. Jim French was born in 1929 in Seattle, USA. At the age of eight he knew he wanted to be a radio announcer. During WWII Jim got a job as an announcer on a radio station called KPAS. He entered the Army a few years later and, after being sent to Japan with other troops, was assigned to an Armed Forces Radio Service where he started writing weekly radio shows. In 1948, he returned to Seattle where he wrote more radio dramas, including the famous “Harry Nile” series and “The Further Adventures of Sherlock Holmes”. Having written and performed hundreds of radio shows, Jim’s unique, booming voice caught the attention of Valve, a video game developer. Gamers can hear his voice in Valve’s Half-Life 2, in which he voiced Father Grigori and in Left 4 Dead, also by Valve, in which he voiced Bill. 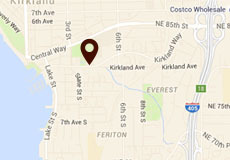 Jim is still a Seattle-based radio presenter today and has most recently voiced the Elder Titan in Valve’s Dota 2.